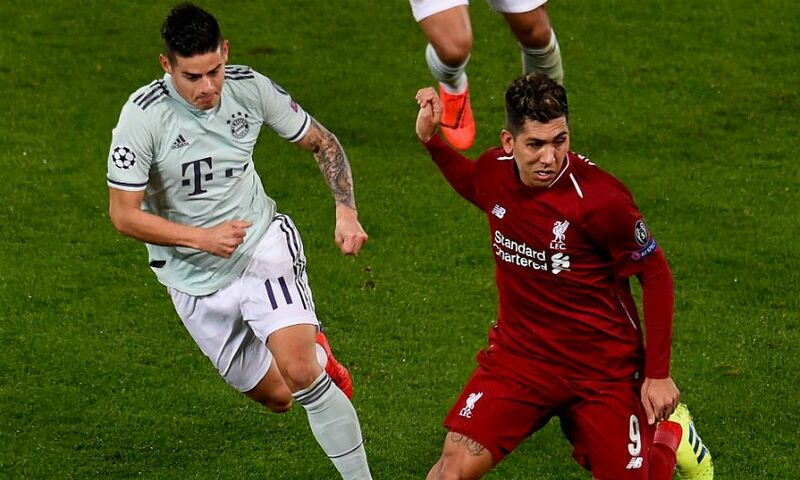 Liverpool’s Champions League last-16 tie with Bayern Munich is finely poised after Tuesday’s goalless first-leg draw at Anfield. 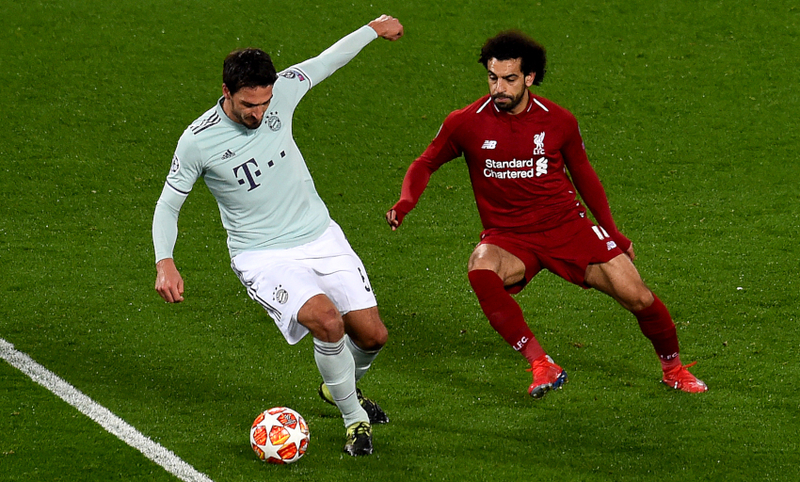 Clear-cut chances were at a premium at both ends as two evenly-matched teams duked it out, meaning a place in the quarter-finals remains very much up for grabs when they meet again at the Allianz Arena in three weeks’ time. With Virgil van Dijk suspended and Dejan Lovren ruled out by injury along with Joe Gomez, Jürgen Klopp partnered Joel Matip with Fabinho at centre-back. That the Brazilian, a midfielder by trade, looked anything-but out of place while up against a striker of the class of Robert Lewandowski in an unfamiliar role speaks volumes for his ability and game intelligence. 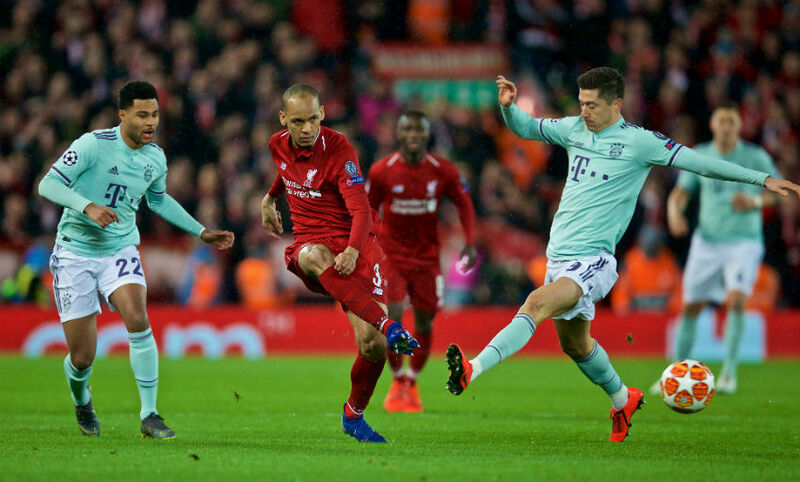 No Liverpool player made more clearances than the 25-year-old (three), while one of his two tackles - a clean, sliding effort to dispossess Lewandowski as Bayern’s No.9 looked to swivel and shoot from close range - could prove pivotal to the outcome of a balanced tie. Most ball regains, most tackles, most passes, most passes in the opposition half. Jordan Henderson’s performance was quantifiably outstanding as Liverpool’s captain led his side with an air of authoritative certainty. Having earlier drifted a perfectly-weighted pass onto the toe of Mohamed Salah - who couldn’t make the required connection to beat Manuel Neuer - the speed at which Henderson reacted to quell the danger after a misplaced Sadio Mane pass offered Bayern a sniff of a chance late in the first half was appreciated warmly by his manager and teammates, as well as the Anfield crowd. And the home fans’ relief was palpable when the skipper picked himself up and resumed his hugely impressive display after he’d gone down following a 50-50 challenge with Thiago Alcantara in the second half. Roberto Firmino recovered from illness in time to maintain his record of being the only player to feature in all of Liverpool’s European fixtures under Klopp’s management. This was the boss and his No.9’s 35th continental game with the Reds and, typically, the latter was the hub of his team’s attacking endeavours: a roaming presence who married ingenuity with industry. The Brazilian's efforts were not rewarded on the scoreboard, but he was afforded a richly-deserved standing ovation when being substituted with 15 minutes remaining. Had Alisson Becker not produced an incredible injury-time save against Napoli at Anfield back in December, the Reds would not have been in the last 16 at all. And, should Liverpool end up progressing to the quarter-finals, the stop their goalkeeper made in the early stages on Tuesday may be looked back on as a similarly crucial intervention. Twelve minutes had elapsed when Serge Gnabry drilled low across the Kop-end’s six-yard box and, under duress from Lewandowski, Matip inadvertently diverted his delivery goalwards. But the ball slammed in to the huge, yellow-shirted frame of Alisson to deny Bayern an away goal that would’ve swung the tie in their favour. That it ended all square meant three notable and impressive Liverpool records were extended. The Reds have never lost to German opposition at home, with that sequence now standing at 20 matches (16 wins, four draws), while they have not tasted defeat to any club at Anfield in their last 20 European fixtures (14 wins, six draws). Additionally, Klopp’s personal unbeaten run in continental competition in L4 lengthened to 17 games (13 wins, four draws).